You may notice something a little suspect when you look at the Belgian U20 boys roster at this years World Juniors Ultimate Championships: the inclusion of Ben Oort. The Dutch national star spent the year in Toronto playing in the AUDL as the Rush’s top goal scorer. He also led the Dutch mixed team GRUT to a top eight finish at WUCC a few weeks ago. So what exactly is he doing on the Belgian team? The Dutch U20 team started preparations for WJUC last year. Oort attended some trainings back in October, but he knew that he was likely going to end up in North America to play in the AUDL. Once he secured a spot on the Rush, he moved to Canada but was still in talks with the Dutch team about WJUC. The Dutch team had a meeting in April of this year and decided against adding Oort to the team. The team did not have high ambitions in terms of finish, and adding a piece like Oort would vastly change the way the team played. They opted to stick to the structure they were building and try to focus inwardly rather than just take Oort, who would only be able to show up at WJUC itself. Oort reached out to Belgium since he has some connections there, but they told him that it wouldn’t be possible to add him to the team at that time. Belgium did have some struggles with getting enough players rostered and, as a result, also added the Latvian Arvids Orlovskis as well as a Danish player to the team. They had already been granted special permission for this since they were low on numbers and neither Latvia or Denmark were sending a team to WJUC. However, very late in the season, the Danish player was rushed to the hospital for emergency surgery and was unable to make the trip to Waterloo. There were a number of other issues with the Belgian roster, so, in the end, they reached out to Oort. 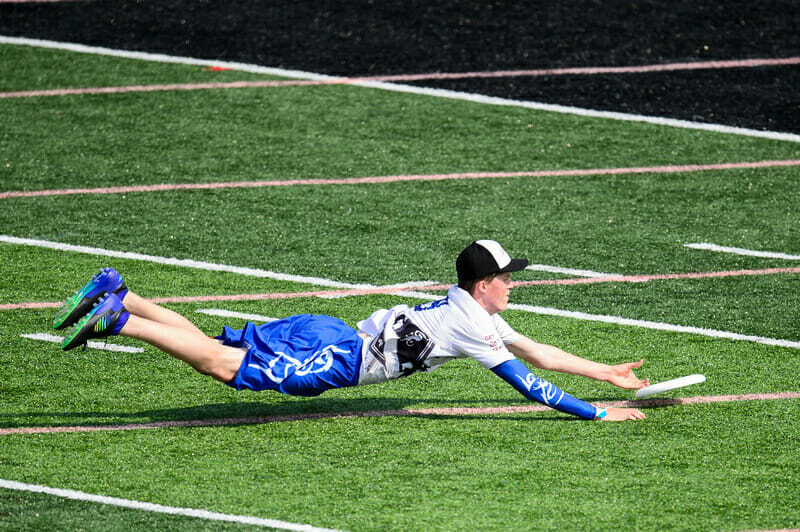 He had recently resigned himself to not playing WJUC but when the Rush didn’t make it to the AUDL Championship Weekend, he thought that he may have another big tournament in him, so he decided to give this some more thought. Both Oort and the Belgian leadership reached out to the Dutch leadership to make sure this was something they were comfortable with. In the end, the Dutch leadership agreed but asked that Oort not play in the Belgium vs. Netherlands pool play game. Everyone agreed on this, and Belgium were again granted special permissions to add Oort to the roster. The WFDF national team roster policy allows for a “community member” on national teams that typically should be a non-national who has contributed a lot to the ultimate community. Oort does not really fit this bill for Belgium, and Orlovskis already fills that position. However, WFDF and the Belgian federation both saw that adding Oort to the team would only be bringing the roster total to 18 players, which is still very small for a week-long championship event. As it turns out, Belgium have started off very strong at WJUC with wins over 2017 EYUC champions Italy as well as France and Colombia. However, Oort was not a big impact in these games as he suffered an ankle injury early in the first game of the tournament. He is currently looking to rest and try to get back on the field tomorrow, when pool play will be wrapping up and bracket play should be getting started. Comments on "Dutch Star Ben Oort Playing with Belgium U20 Boys"